In 2010, a project called ‘Camberwell Sings’ provided an opportunity for singers to perform songs all around Camberwell, from libraries and schools to train stations and even on board a bus! The event was a real success – and it also showed that Camberwell was hungry for music. 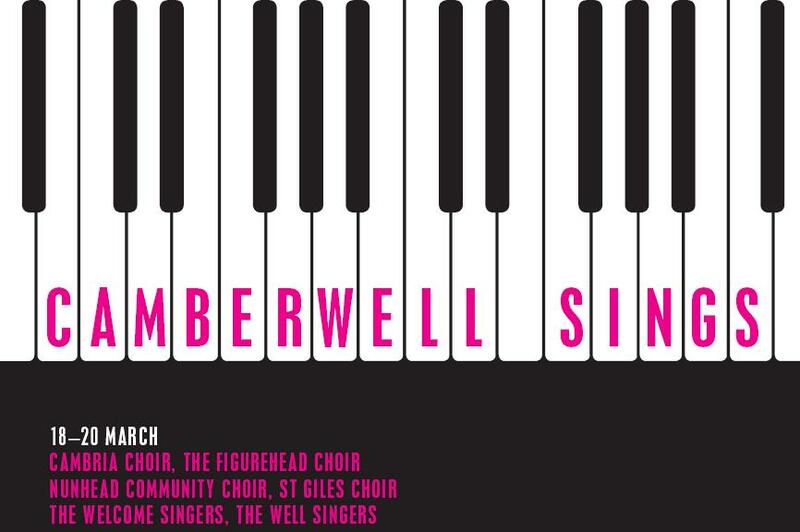 So in 2011, Camberwell Community Choir was born. 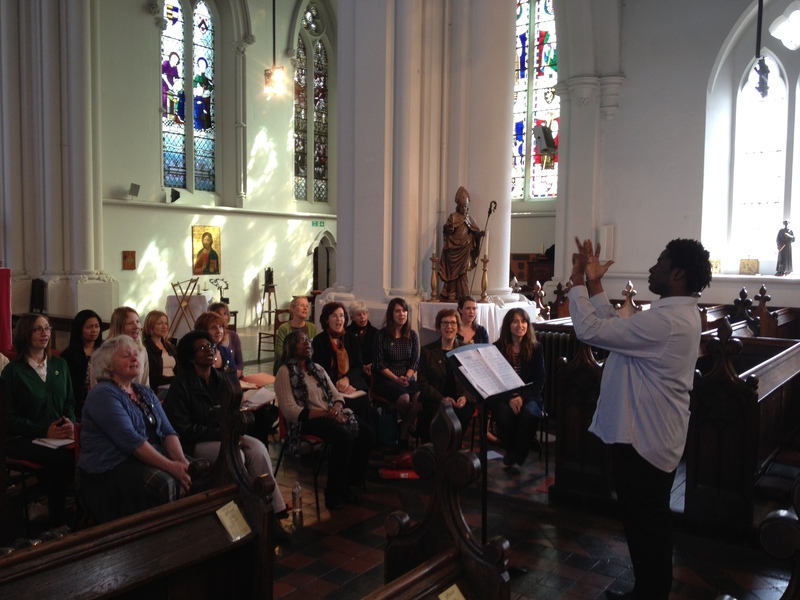 Supported by the SE5 Forum and St Giles’ Church, the choir began to grow and perform in and around Camberwell. Two years later, end of term performances can include singing in the park to singing at the Royal Festival Hall. The choir has established some new Camberwell traditions (such as Carols ’round Camberwell & Camberwell Scare) and written and performed their own own songs. Repertoire has ranged from 15th Century plainchant to Michael Bublé. Choir leaders Ashley, Matt and Aga have different styles and musical backgrounds but have known each other since they attended university. Rehearsals with them will always keep you on your toes and there will be more than a few laughs along the way! Even if you think you can’t sing but want to be involved in something special in your community, do come and give it a go. There are no auditions and whatever your musical ability, you’ll be very welcome. Find out more on the choir’s website or visit their Facebook Page.